The aluminium black espresso coffee maker with a plastic handle from the Sensive range Ibili is highly appreciated for its modern look and functionality. This espresso coffee maker 12 cups Sensive is a perfect gift for coffee lovers because it is easy to use and easy to maintain. 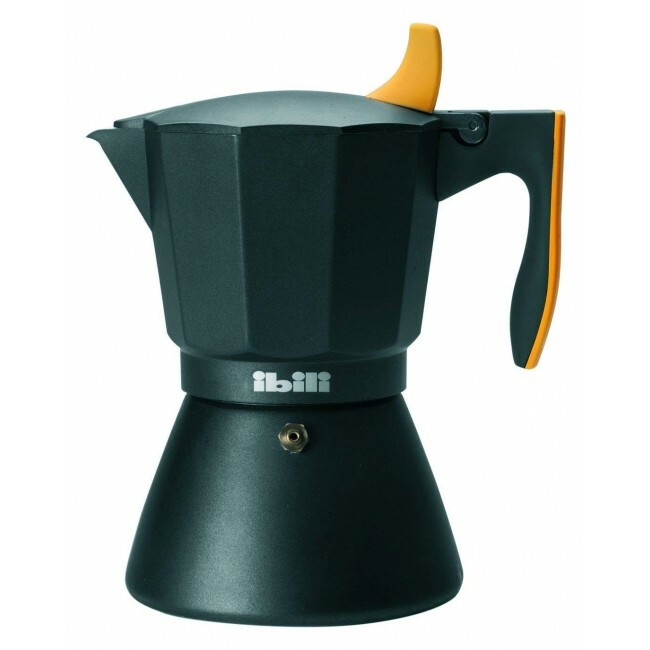 All black with a yellow touch on the handle, this Ibili espresso Sensive coffee maker is original with a flawless finish.